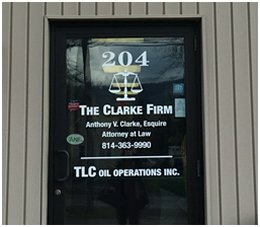 The Clarke Firm on 204 Bolivar Drive in Bradford, Pennsylvania, is a small-town law firm that focuses on Personal Injury, Workers’ Compensation, Social Security Disability Law, Wills and Estates, Real Estate, and Civil Litigation. Anthony V. Clarke is licensed in Pennsylvania and New York, and will give your case personal attention. He has been practicing for over 27 years and offers a small-town touch. 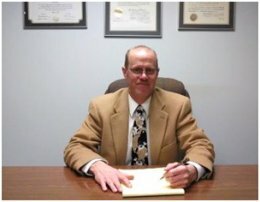 Anthony V. Clarke is not only an attorney, but a motorcyclist of over 40 years. He has ridden and raced in many different disciplines over the years. His experience as a motorcyclist has given him a unique insight into motorcycle accident cases. If you have suffered any injury, either at work or on the road, and particularly on a motorcycle, please call The Clarke Firm for a free consultation.